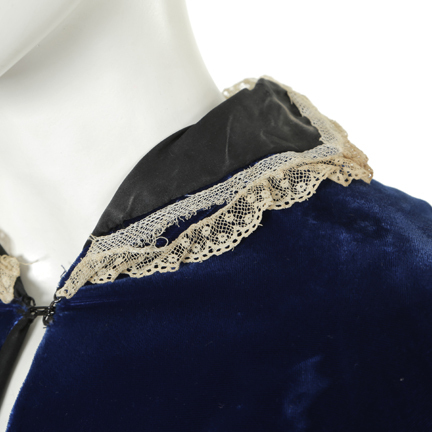 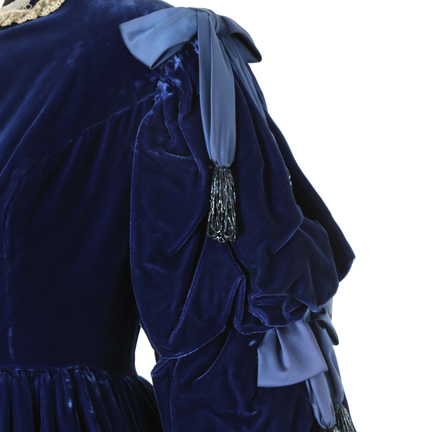 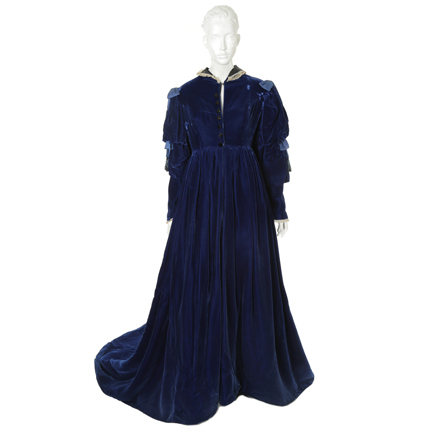 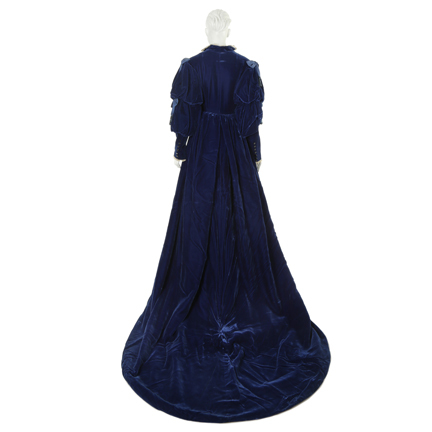 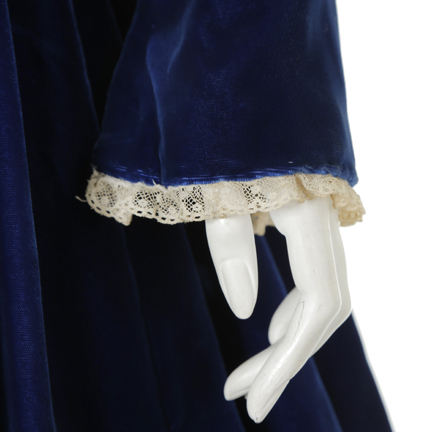 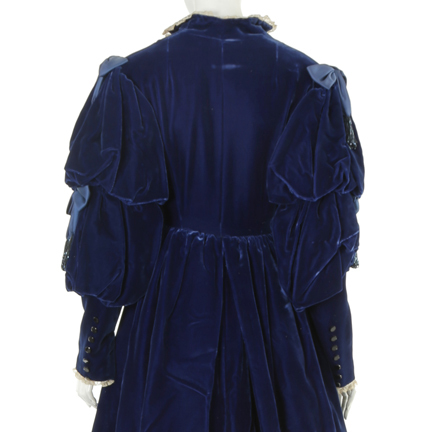 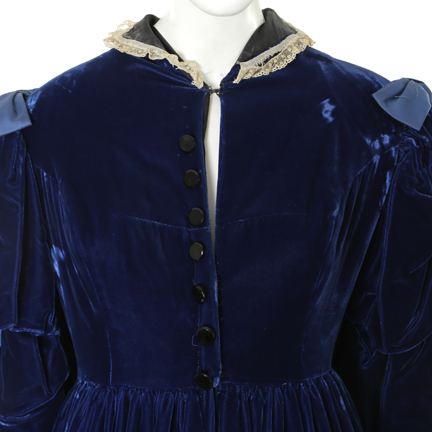 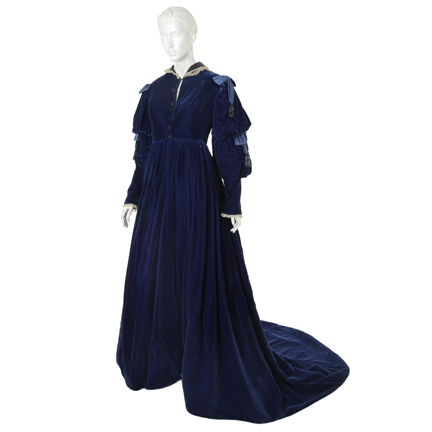 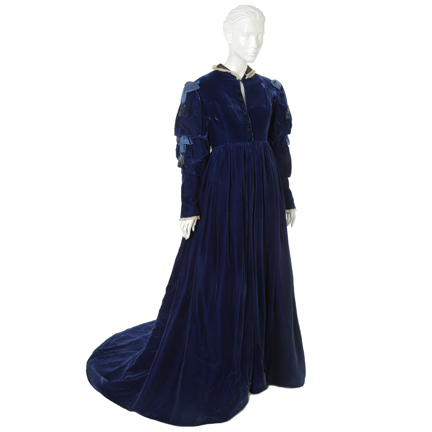 Electric blue velvet floor length gown with triple layer puffed sleeves, satin bows and bugle beaded tassels, black onyx buttons on the cuff and down the front, lace trim, zip front closure added for use on subsequent production. 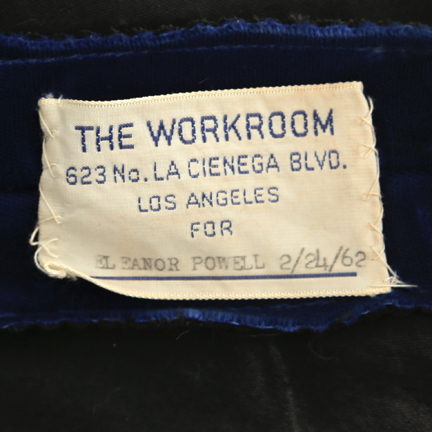 Internal label with “The Workroom 623 No. 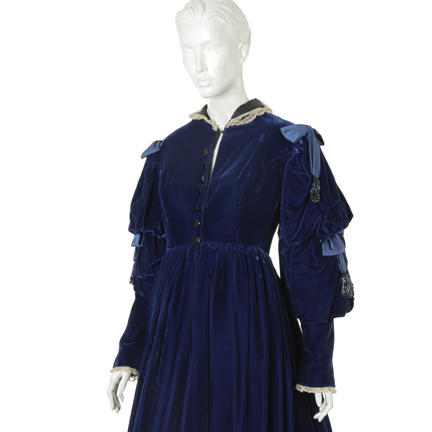 La Cienega Blvd Los Angeles for Eleanore Powel (SIC) 2/4/62”.